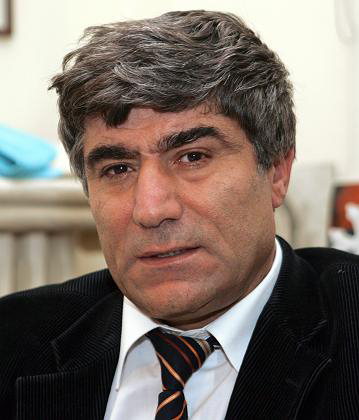 Hrant Dink, the chief editor of Agos, was gunned down outside his Istanbul office on January 19, 2007. Six years ago this day. Hrant Dink was murdered for peacefully expressing his opinions. The security services knew of the murder plot and were in communication with those accused of the murder yet nothing was done to stop it taking place. Nothing short of a full investigation into the actions of all the state institutions and officials implicated in the murder will represent justice. There is nothing to be surprised about this. We had demanded an effective official investigation but it failed. The large part of the State Supervisory Council’s (DDK) murder report argued that the judicial process was problematic and that police officers were not investigated since their chiefs’ permission was not taken. On this sixth anniversary of his brutal murder, we remember Hrant and his important work. We will not forget. And we insist that justice be done. This entry was posted in Amnesty International, Armenian, Freedom of Expression, Minorities, Press Freedom, Turkey, Uncategorized and tagged Amnesty International, Andrew Gardner, hrant dink, Orhan Dink, Turkish Daily News, Turkish Judicial System. Bookmark the permalink.